This is not the grey and white pixelated game I remember. From mathblaster.com. The list of computer games I played as a kid is downright hilarious. My earliest, fuzziest memories are of something my sister and I called “The Miss Piggy Game” in which Miss Piggy rode a spaceship and shot some kind of weaponry. (I’m assuming this was Pigs in Space, but we never owned a video game console! However, my parents confirm that I didn’t make this game up.) 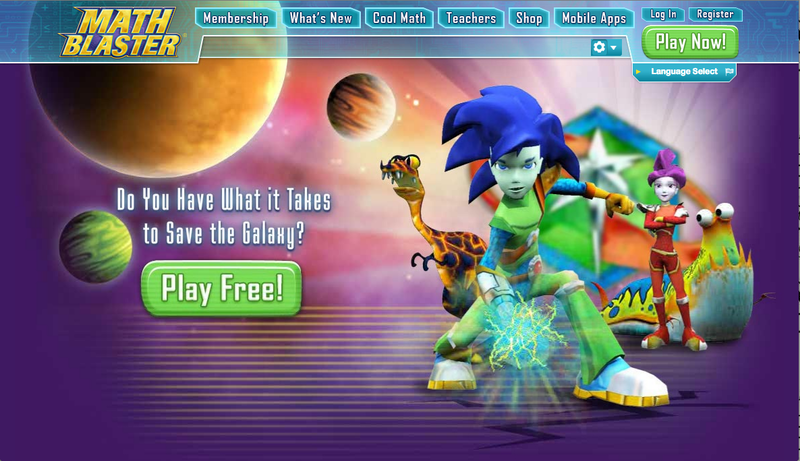 I more clearly remember playing the original Math Blaster and shooting answers to problems with my awesome space cannon. Inexplicably, that game has morphed into this. The award for most absurd goes to Monty Python’s Complete Waste of Time, a series of mini-games based off sketches that sometimes involved the giant foot coming down and surprising you. However, my most vivid, joyful memories are of playing Oregon Trail at school. Please select from this list of white colonizers. Screenshot from the Oregon Trail online game at Internet Archive. I want to take a step back for a moment and acknowledge the racism embedded in this game. Oregon Trail is about white families trying to survive the journey west and focuses on the hardships they faced. It does nothing to acknowledge that the land those settlers were trying to reach was already inhabited or that European settlers were killing those inhabitants. I very seriously doubt that any schools used Oregon Trail as an example of how history erases the stories—good and bad—of aboriginal people. Ironically, Oregon Trail was really about one thing: DEATH. When playing the game, you assumed—or rather assume; you can still play it online—the role of your party’s leader. You are trying to keep everyone alive, but would randomly lose members to exhaustion, animal attacks, and, of course, diseases, like dysentery. The other memorable aspect of the game was the hunting feature. If members of your party weren’t dying, then you were out making sure animals were dying. By aiming a tiny pixel bullet at running deer, bison, and even bears, you could load your cart up with meat to feed your ailing family. I think that bison is wounded! After it! 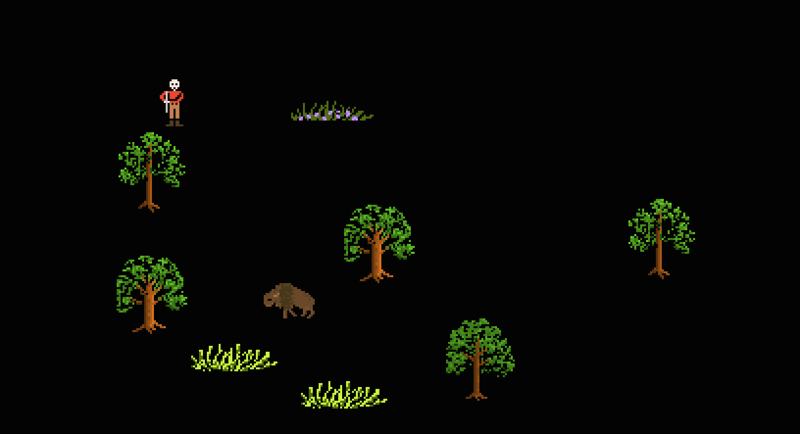 Screenshot from the Oregon Trail online game at Internet Archive. I was OBSESSED with the hunting feature. It was all I ever wanted to do, and it’s pretty much all I remember of the game. None of the tragic deaths and ensuing funerals have stuck with me; in fact, I’m pretty sure I took the morale hit and skipped most of the death rituals. I just wanted to hunt, hunt, and hunt until I had to wastefully dump food out of the wagon because we had too much meat. This is probably a good moment to note that I’m now a vegetarian and a big fan of gun control. Thinking back to how I joyfully play-shot animals for long periods of time feels weird and out of character. Why would tiny Alenka be so into what was essentially a single-player shooter game? I have always loved visual storytelling. While playing games like Super Smash Bros and Bomberman (you heard me right) with my friends was fun, I also really enjoyed watching them play Final Fantasy and Kingdom Hearts so that I could learn the stories. (Remember, my family never owned a game console.) However, story-focused games and the intellectual engagement they require can be exhausting. There is something very satisfying about point, click, shoot, succeed, and that is what I latched onto in this game. 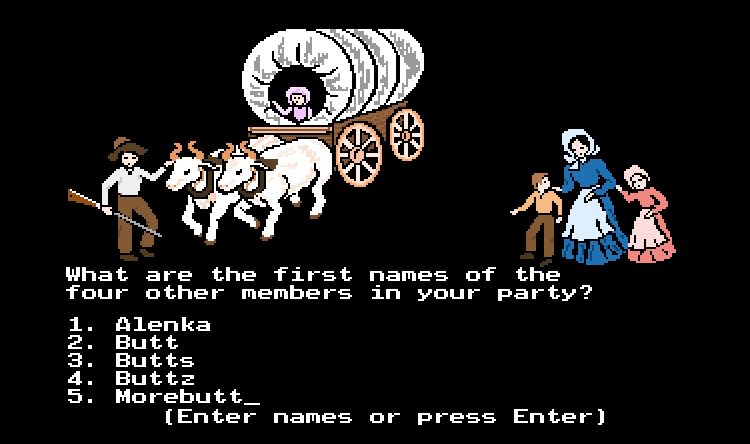 The more I think about Oregon Trail, the more I wonder if I’m missing that kind of simple satisfaction in my life. Maybe, just maybe, if I set aside strategy games, like Settlers of Catan, and pick up something less complicated, I could take a lesson from tiny Alenka and be a less stressed-out person. 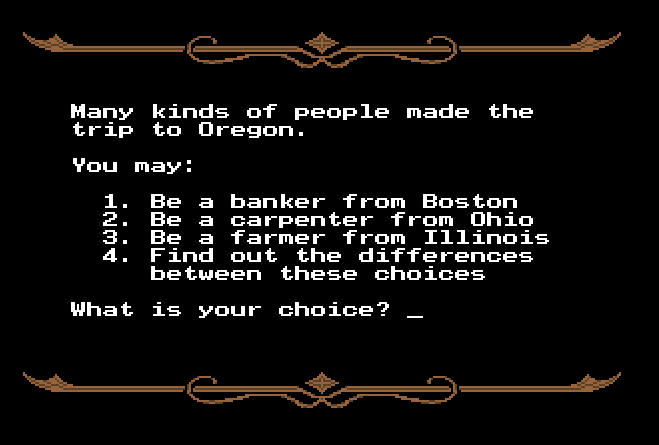 Oregon Trail was my first video game too! At school! On Apple IIs!! Of course, I grew up in Oregon, so…. I played that Monty Python Game, too. And all I remember is the giant foot coming down a lot.